I love apple sauce and its many uses. Tonight, I'm whipping up a batch for some cookies. I'll use the rest for breakfast on its own, or perhaps I'll cook up some with onions and cinnamon for breakfast sausage. 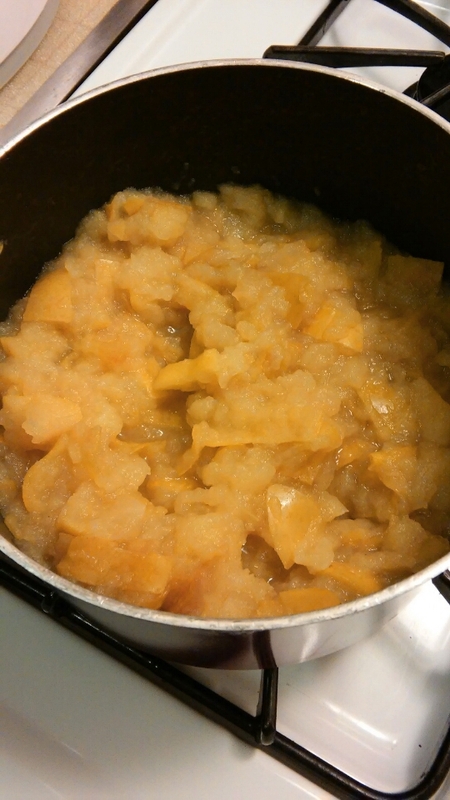 Either way, plain applesauce never goes to waste! Today I'm using Republic of Tea Hi Caf in PomBerry for a nice, neutral flavor, that just happens to be caffeinated. Combine in pot and bring to a simmer. About 18 minutes, until soft and mashable.